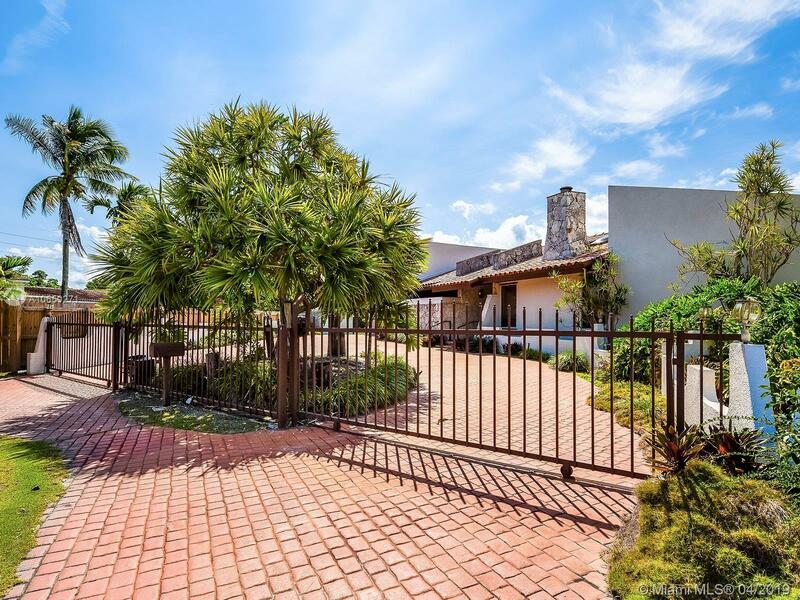 Nested behind a gated, circular driveway, this 3 bedroom, 2 bathroom home is located at the end of a cul-du-sac of a quiet street in the heart of South Miami. The 2,306 square foot home, sits on a large lot and is primed for renovation or redevelopment. The house features 3 large bedrooms including a master suite with recently remodeled master bathroom. A large sitting area, formal dining room and island-kitchen make this house perfect for entertaining. The side yard is huge with ample room for a large addition to the house. The backyard also has a large lagoon-style pool with hot tub, large wet bar, a covered deck and built in tiki-huts surrounding the pool making this home ideal for Miami outdoor enjoyment.